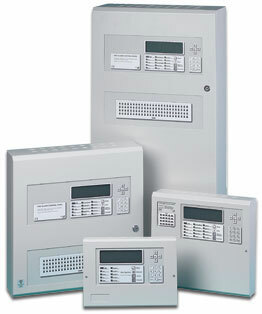 Fire alarm systems are one of our­ biggest selling products. We offer a fully comprehensive range of systems, so we will easily be able to meet even the most demanding requirements. Fire alarm systems are a strongly recommended commodity – we believe no premises should be without the safety a fire alarm offers. Listed below are the different types of alarm systems available. Please feel free to discuss your needs with one of our trained specialist advisers. In addition to all of the above features this type of alarm is extremely useful in larger premises as each unit can give its exact location via a text read out, meaning fires can be quickly located. Radio fire alarm systems are simple to install. There is no need for wiring between detection devices and very little disruption of the premises during installation. Aspirated System – A type of smoke detector which gives a very quick response. It detects smoke particles suspended in the air by identifying the light scattered from the particles in a sampling chamber.